In the late 1960s, dropping out of college, even temporarily, was risky business. 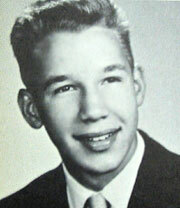 Bill Smith sat out the winter semester in his senior year because he had to ride his motorcycle to get to YSU. His plan to complete his degree in the warmer spring weather appeared to be doomed when the draft board sent him a draft notice. Fortunately, they agreed to postpone his induction until he graduated. So right after graduating in 1968, Bill was in the U.S. Army, qualified to attend Officer Candidate School. The only branches available were the combat arms. Maybe not the best choice. Life in infantry units in Vietnam could be unpleasant and dangerous, especially for second lieutenants. That seemed to be where Bill was headed when he was sent to jungle warfare school after completing OCS. Bill’s choice wasn’t so bad after all. He was assigned to the security detachment at the largest ammunition dump in Vietnam. What could be safer than being close to tons of high explosives capable of leveling the terrain for miles around? Bill’s job was to keep that from happening. Before he arrived, the site’s security was in the hands of ordnance personnel who were neither trained nor equipped for the job. “We did things differently,” Bill said. With everything from tower guards to electronic surveillance, chain link fences extending four feet into the ground, mortar and artillery units to do recon by fire, and even guard dogs, Bill’s security detachment had to confront only one attack during his year there. “By attack, I mean saboteurs trying to sneak in,” he said. It turned out to be three young teenagers carrying satchel charges. But lack of action doesn’t mean lack of danger. That became apparent when the facility was closed down toward the end of Bill’s tour. All the ammo was transported to an RVN dump ten miles away. The night after the transfer was complete, the RVN dump blew up. “We stayed in a bunker and watched it happening on the other side of the mountain,” he said. His wife at Fort Benning heard about the Qui Nhom ammo dump being blown up. Contact with Bill through the Red Cross allayed her fears. She was blessed when Lt. Bill Smith returned without a Purple Heart.